Aquis will take on the TAB in aid of drought relief as part of Aquis Farm Race Day at Muswellbrook on Tuesday, August 21st. Aquis will provide racing and media identity Richard Callander with $2,500 to punt on each race, with all earnings donated to local drought relief charities. Racing at Muswellbrook. Credit: Katrina Partridge Photography. "Muswellbrook Race Club is thrilled to have Aquis Farm on board,” MRC General Manager Duane Dowell said. “The company is an important part of the Hunter Valley breeding industry and Aquis Farm Race Day is well positioned to showcase their growing business and fantastic list of stallions on offer for this upcoming breeding season." Aquis will award the breeder of the winner of each race on the day a 25% discount off their stallions’ advertised stud fees (excluding first season stallions) and a 30% discount if the breeder wishes to book multiple mares to Aquis stallions in the 2018 breeding season. ‘’This is a great opportunity for Aquis to become involved in Hunter Valley racing,” Aquis CEO Shane McGrath said. “The Muswellbrook Race Club does an exceptional job promoting racing locally and has a great committee. The track and facilities are a testament to the devotion of staff and we are extremely grateful for the support Aquis and our stallions have received in our short time here. 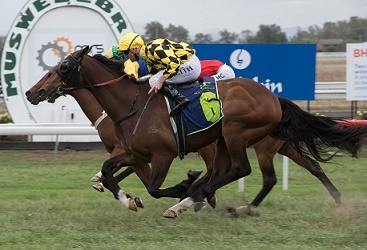 “The Aquis race day at Muswellbrook kicks off the start of a massive week for Hunter Valley breeders and stallion owners and we look forward to seeing you there. For more information on Aquis Race Day click here.